Essential oils are all-natural remedies that pack a punch when it comes to health benefits. They've been used for centuries in traditional medicine and are increasingly gaining traction in western medicine. Essential oils come from thousands of different plants, but some of the most popular come from plants right in our own backyards. Wild orange essential oil is one of the top selling essential oils in the world. Its refreshing aroma delights the senses and can help improve mood. The fruit this oil derives from is known for its immune and energy-boosting properties. Check out how you can use this beloved oil in your day-to-day life. What Is Wild Orange Essential Oil? Wild orange essential oil is extracted from the rind or peel plant part of oranges. Wild orange oil is also commonly called sweet orange oil. The oil is extracted using a cold pressing method. Oranges are harvested from the Citrus sinensis orange plants and immediately cold pressed for freshness. The main active ingredients of wild orange oil are alpha-pinene, limonene, and myrcene. Citrus essential oils are known for their uplifting scents. Wild orange oil features a refreshing sweet and tart aroma. Its aroma is a top note and commonly used in fragrances and cosmetics for scenting. This oil is light yellow or clear in color and has a high viscosity. Wild orange essential oil blends well with other citrus oils such as bergamot and lemon oil. It also adds a pleasant refreshing note to earthy oils such as ylang ylang, and floral oils such as geranium oil. Orange oil, like other citrus oils, is renowned for its ability to support a healthy immune system. Orange essential oil can contain up to 90% d-limonene—a monoterpene known for its use as a fragrance and flavoring. Research also shows d-limonene can help boost the immune system and fend off infections. One study published in International Immunopharmacology studied the effects of d-limonene on mice with lymphoma. One of the serious side effects of cancer is a weakened immune system. Researchers analyzed whether d-limonene could strengthen these weakened immune systems. The results showed that d-limonene increased immune response and increased the survival rate of cancer-stricken mice. A second study published in Cogent Biology examined an essential oil blend and its effect on the immune system. 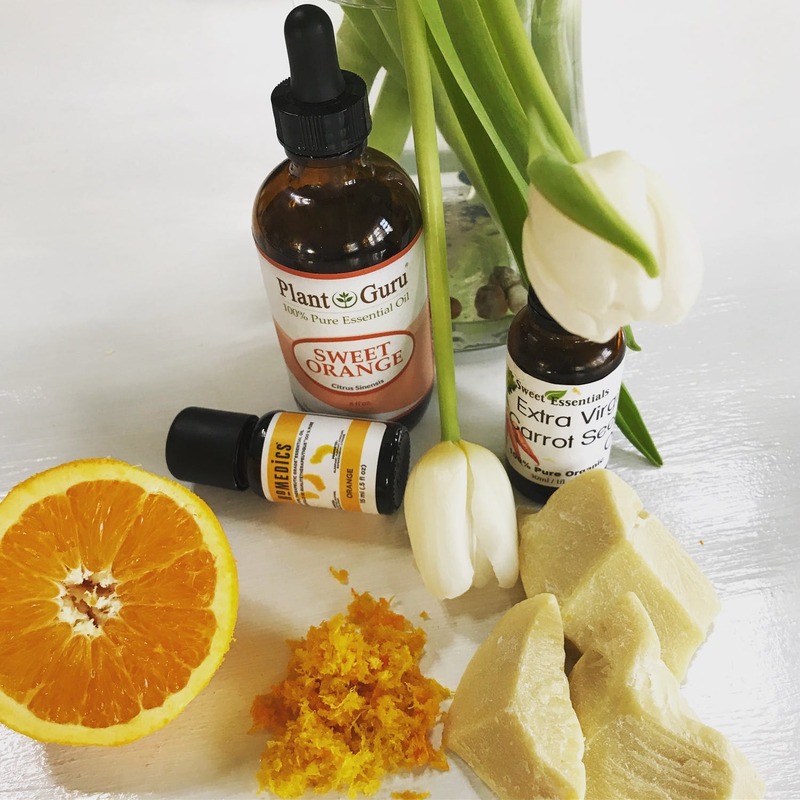 Researchers created an essential oil blend that consisted mainly of wild orange oil along with clove, cinnamon, eucalyptus, and rosemary oils. The researchers applied the oil blend to human cell cultures. The essential oil blend was found to have modulating effects on the immune system and helped fight off bacteria. The oils helped to decrease inflammation and control cellular cycles, helping to produce antibodies and other immune response agents. Citrus fruits and oils are often the first thing people reach for when flu season hits. Boost your immune system and overall health during cold and flu season by adding 3 to 4 drops of orange oil to your diffuser. Alternatively, combine 1 to 2 drops orange oil with carrier oil such as fractionated coconut oil. Dab the mixture behind your ears or on lymph nodes in your neck to support immunity. You can also clean your home using an all-natural orange oil cleaner as a purifying agent. Add 3 drops of orange oil to a damp cloth and wipe down surfaces that attract bacteria. You can also create an all-purpose spray. Add 10 drops of orange oil and 10 drops lemon essential oil to a large spray bottle. Fill with white vinegar or distilled water. Spray liberally on surfaces or fabrics to tackle bacteria. Inflammation is linked to an impressive amount of diseases ranging from cancer to premature aging. Inflammation is typically caused by oxidative stress in the body. Human cells begin to breakdown overtime, causing disruptions in cellular membranes. These human cells then combine with harmful toxins and other cellular invaders in an attempt to repair the damage. Most often, these cells pair with toxins known as free radicals. Free radicals are caused by smoking, drinking alcohol, and other unhealthy lifestyle choices. Orange oil helps to reduce the inflammation that causes these cellular breakdowns in the first place. This oil also helps to eliminate free radicals that can further increase the damage. A study published in the European Journal of Medical Research found that orange oil had stronger anti-inflammatory powers than eucalyptus or pine oils. Using orange oil daily may help to prevent disease caused by inflammation. Add 3 to 4 drops of orange oil to a diffuser to reduce inflammation. You can also soak away inflammation by drawing a warm essential oil bath. Add 5 drops of orange oil to warm bath water and soak for 15 to 20 minutes. The anti-inflammatory properties of orange oil help to soothe pain caused by headaches and muscle strain. This oil may also be beneficial in alleviating pain associated with joints and bone diseases such as arthritis. A study published in the Indian Journal of Palliative Care investigated the use of orange oil in treating pain caused by fractures. The study consisted of 60 participants who were divided into an experimental group and a control group. The experimental group received orange oil aromatherapy in the form of 4 drops of oil on a small cotton pad attached to the patient's collars. The cotton pads were replaced every hour and the study lasted a total of 6 hours. Results showed that the experimental group had significant decreases in pain compared to the control group. A second study published in Complementary Therapies in Medicine demonstrated similar results. Researchers focused on treating knee pain with ginger or orange essential oils. Both oils helped to significantly decrease severity of pain and stiffness. The aromatherapy also demonstrated an increase in physical function compared to the control group. 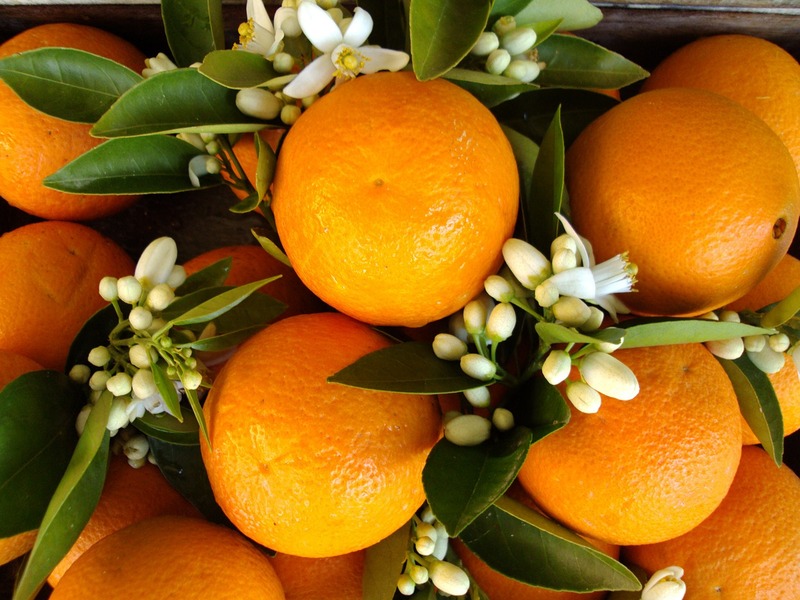 The scent of orange oil helps to induce relaxation while its anti-inflammatory properties reduce pain at the source. Diffuse 3 to 4 drops of orange oil anytime you feel pain. Repeat every hour for severe cases. Orange oil can alleviate pain from achy muscles and joints when applied topically. Combine 3 drops of orange oil with 1 ounce of carrier oil. Apply to sore spots using a gentle circular motion. Massage for 5 to 10 minutes or until pain subsides. The energizing aroma of wild orange oil helps to lift your spirits and increase energy levels. Antioxidants and chemical compounds in this oil help to inhibit cortisol—the stress hormone that makes you feel frazzled. The sweet fragrance can also help to balance hormones and support emotional responses. The easiest way to reap the energy boosting properties of orange oil is to diffuse it in your home. Add 3 drops to a diffuser and release the aromas during stressful times of the day. You can also place a few drops on a cotton ball underneath your pillow to help unwind after a rough day. When you're on the go, simply add 2 drops orange oil with 2 drops carrier oil to your hands. Rub palms together, cup them beneath your nose and mouth and inhale deeply for 2 to 3 minutes. Orange oil can help skin look smoother and brighter. The anti-inflammatory properties of this oil help to reduce fine lines and wrinkles by eliminating free radicals. Orange oil also helps to naturally cleanse skin, removing dirt and bacteria that can clog pores and lead to acne. Orange oil has high concentrations of vitamin C—a key ingredient in many cosmetics and skin care products. Vitamin C is used in the treatment of hyperpigmentation and other skin changes associated with exposure to sunlight. It also contains high levels of antioxidants that help to prevent oxidative stress that results in premature aging. Vitamin C also has collagen-boosting properties, helping to firm and smooth skin. Make your own orange oil cream at home in minutes. Combine 1, cup coconut oil, 1 cup shea butter, and 1 cup cocoa butter in a large glass jar. Add 30 drops each of grapefruit seed oil and wild orange oil. Place the glass jar in a medium sized pan filled with water. Bring the water to a boil. Once the ingredients in the glass jar are melted, mix well. Remove from heat and cool to room temperature. Voila! You have your own all-natural, healthy skin moisturizer. Use in the morning and evening to promote skin health. Since essential oils are made from plant products, they can cause reactions in certain individuals. Orange oil may cause skin rash in people with sensitive skin. Test the oil on a small patch of skin before applying liberally. Avoid using sweet orange oil if you are allergic to orange plants. Citrus oils including wild orange oil do not mix well with sunlight. Chemicals and active ingredients in citrus oils react with sunlight and can cause negative reactions including sunburn and skin discoloration. Avoid direct sunlight or UV rays for at least 12 hours after using wild orange oil. The Food and Drug Administration, known by the acronym FDA rates some essential oils as safe for oral consumption. The FDA rates orange oil 'generally safe' for consumption. Essential oils are highly concentrated forms of the plants they are derived from. Oral Consumption of essential oils should be done carefully and in conjunction with an essential oils expert or physician. Only use small amounts to avoid negative side effects. Experts typically recommend using just 1 drop for every 12 ounce sized water bottle amount of liquid. Only use high quality, pure or therapeutic grade essential oils orally. Awaken your senses with the citrus bliss of sweet orange oil. This tangy and sweet scented essential oil can help improve your health and freshen your home. This oil is a powerful cleanser that can help boost your immune system and eliminate bacteria from your home. Its powerful antioxidants help to eliminate free radicals and reduce inflammation that can cause disease. Diffusing wild orange oil is a great way to induce a positive mood and brighten your life.